Family Fun: Come in for an outing of family fun center games, in-store show entertainment, and pizza! Kids will be delighted by our wide variety of stand up, multi-player, and interactive games. Parents and kids will be excited to try our fresh menu options, including salad, sandwiches, and wings. Birthday Fun: On the hunt for the perfect kids birthday party destination? 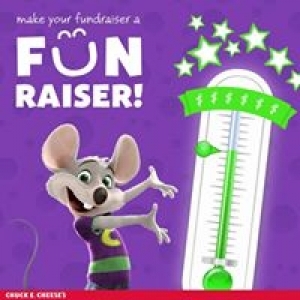 Come in to Chuck E. Cheese'  s, for a birthday party full of pizza and fun activities for kids and the entire family. FUNdraising & All You Can Play Group Rate Events: We also are a great spot for group events! Whether you are a youth group, elementary school, or soccer team, our group events packages & FUNdraisers offer the ultimate children'  s entertainment center experience, with pizza, soft drinks, and goody bags for every child.